For our Queen's birthday this year, we made her a very special Bare Trees tree. Every pupil at Bare Trees put their fingerprint on the tree. 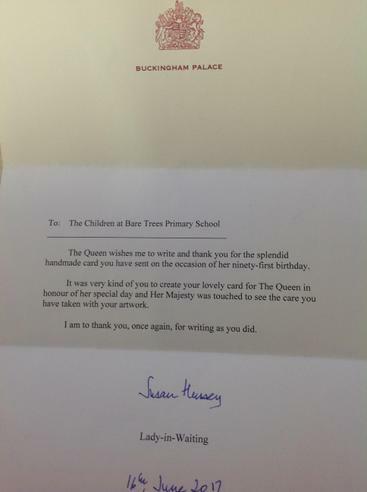 We sent the Queen our special tree alongside a birthday card we made. We were thrilled to receive a very special reply.